Great night shot, sharp, very good in B&W! V! Great night capture, very dynamic shot. Great! 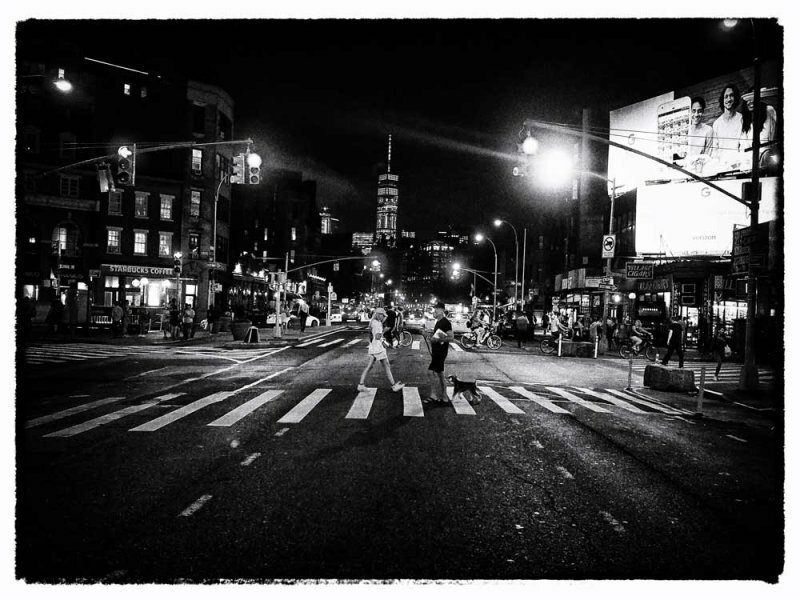 A rich contrasting night image looking down 6th Avenue to where I recall the 2 Towers stood, instead of the 1. This image really captures the vib of NYC. Very well seen and shot. B&W is perfect for the scene. Wow - no traffic! It must have been 3am! Excellent night street scene. great capture of this street scene.V. The dramatic tones add a realism that is outstanding. Good timing with the pedestrians. I'm surprised they are not jaywalking. Maybe they're tourists. So well timed, like ships passing in the night. V.
A very fine capture of this street scene, Jeff.. You are a master at these..